According to new research, house prices in Halifax have risen 14.7 per cent in the past 10 years. 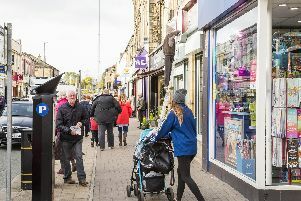 The research, by online estate agents Housesimple.com, shows that property prices across Yorkshire are rising at almost three times the rate than at any period since the global financial crash in 2008. Land Registry figures reveal that average property prices across the region have risen 4 per cent in 2018 alone, compared to an average annual rate of growth of 1.5 per cent since 2008, when the US housing bubble burst and triggered a global financial meltdown. In the last ten years, Halifax house prices have seen at 14.7 per cent increase. The average house price has gone from 127,354 in 2008 to 146,100. In Yorkshire, York enjoyed the largest increase with average prices up a third (33.2 per cent), rising on average £61,601 since 2008 or just over £6,000 a year. 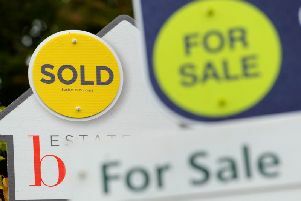 The financial crash sparked a dramatic slump in UK house prices, with prices falling by as much as 20 per cent in some areas. Sam Mitchell, CEO of online estate agents Housesimple.com, said: “It’s been a healthy year for property markets across Yorkshire as the north of England in general has seen a mini house price boom. "The first-time buyer market has been particularly strong, helped by Government schemes such as Help to Buy and a wealth of affordable property stock. And investors have been flocking to northern urban areas in search of more attractive rental yields than offered in the south. “There’s every chance we’ll see a boost in activity in Q1 which is why we wanted to offer homeowners in Yorkshire the chance to sell their homes for free until the start of April. There’s a lot of pent-up buyer demand that built-up in December ready to be released, and we envisage there being plenty of homeowners looking to secure a sale before the end of March.